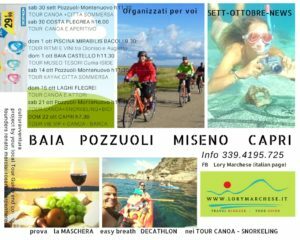 NEWS sept – october OTTOBRE ….FUN …SUN…WINE … divertimento …sole… vino …w il Sud ! 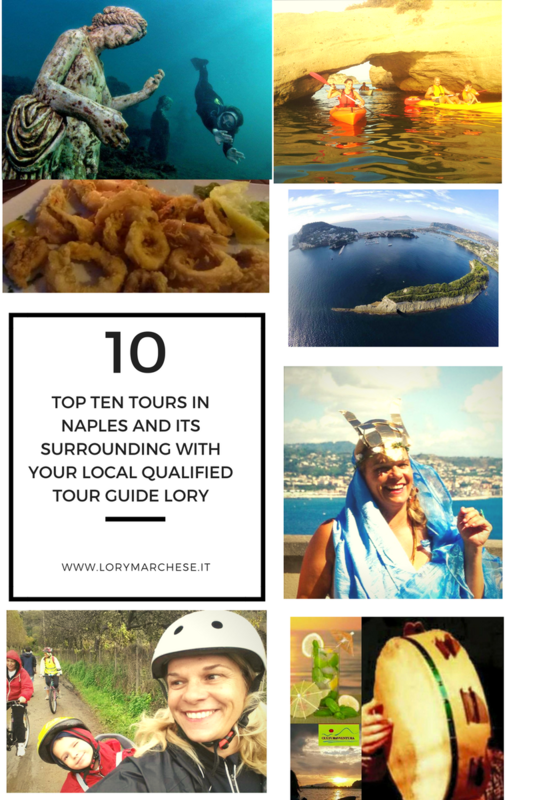 Lory Marchese > Uncategorized > NEWS sept – october OTTOBRE ….FUN …SUN…WINE … divertimento …sole… vino …w il Sud ! 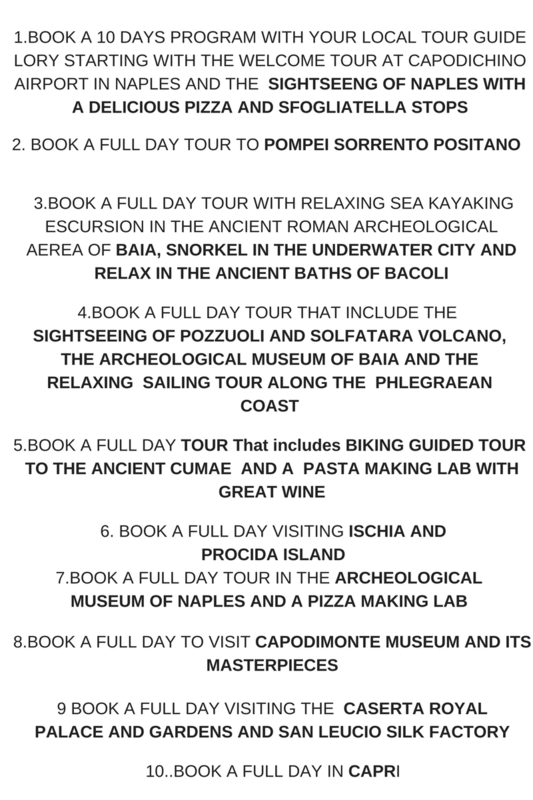 sat Sept 30 at 11.30 Pozzuoli CANOE + SNORKELING GUIDED TOUR discovering the Emperor CLAUDIUS’ Ninphaeum and the underwater ruins surrounded by the ancient roman city of BAIAE and Portus Julius..mail now! sunday october 1 at 9.30 Bacoli SPECIAL GUIDED TOUR discovering Piscina Mirabilis a huge Emperor Augustus’ water cistern…real masterpiece of ancient roman engineering built about 2000 years ago… a great tour with rithms, mythology and wine tasting…unforgettable!